The kitchen staple cleaner is a must-have in the garden as well. A solution of dish soap and water is all it takes to stop aphids in their tracks, and it doesn’t require you purchasing anything out of the ordinary. No more than a teaspoonful in a clean spray bottle full of water is all that you need! 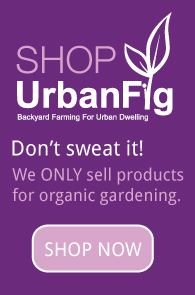 We’ve mentioned the virtues of Neem oil here at UrbanFig in the past, but we can’t overstate its effectiveness as a natural, organic pesticide that can be used in a variety of garden applications. Most commercially available neem oil products contain between 3 and 4.5% oil. You can purchase the oil on its own and make your own spray with 1 ounce of oil to a gallon of water. It is effective against aphids, spider mites, and a host of other insect pests, as well as powdery mildew. One word of caution when mixing a neem oil spray – mix only what you will use within 48 hours as the beneficial components may break down quickly once mixed with water. Don’t let the crazy name scare you away, diatomaceous earth is a completely nontoxic and powerful way to get rid of everything from ants and fleas to cockroaches! The primary component is microscopic silica that is very sharp. Those tiny shards pierce through the exoskeleton of the pest, leaving them vulnerable to dehydration. Be sure that you are using food grade diatomaceous earth and you will have no risk of dangerous happenings to you and your family. Simply take precautions to ensure that you don’t breathe in the dust while applying. 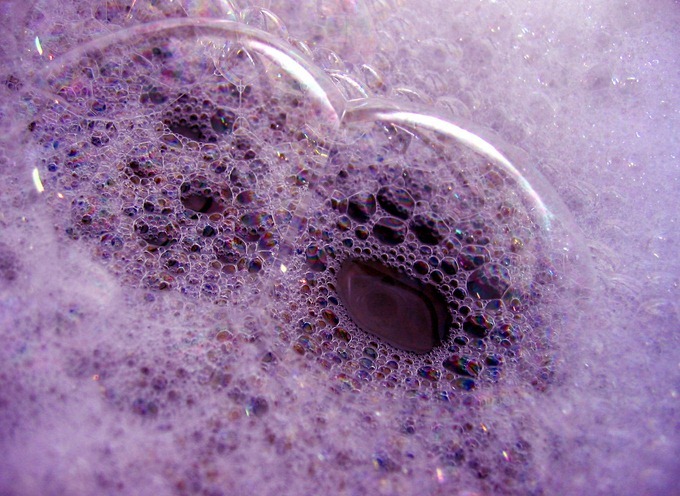 I am wondering if it would be equally as beneficial or perhaps even better, to use Peppermint Castile Soap, rather than dishwashing liquid…would you let me know what you think? Next post: How Do You Know When to Harvest Shallots?